Perfect Mum? Don’t look at me! In the various courses I provide, we talk a lot about parenting and I always hope that I never come across as thinking I am a perfect mum. Firstly, this is because I don’t actually strive to be perfect (in BabyCalm courses especially we talk about Winnicott’s concept of the ‘Good-Enough’ mother rather than attempting to be perfect), and secondly, if you could see how I parent, any pretence of perfection would be pretty quickly shattered. Yesterday was definitely an imperfect day; tantrums were had, tears were shed – and that was just me! We went en famille to a supermarket in search of gloves for F and T. For various reasons, the search for good waterproof gloves has rivalled that of the Holy Grail in our house. High street shops generally don’t seem to stock gloves for school age children and online retailers have sent us the wrong size on multiple occasions. This shop had a very poor choice i.e. none suitable for T at all. Chuck into the mix the fact that, inexplicably, F just can’t get her hand into any pair of gloves, whatever the size and I am afraid I might have lost my temper. Ultimately we did get over it but I went to bed feeling a failure. In fact I had a little cry to myself and was reminded of a similar ‘failure’ when F was much younger. There is no mum on this Earth who is perfect. I understand the desire to strive to be perfect but the reality is that we all make mistakes. It would be fair to say I make parenting mistakes every day but I am happy that I am ‘Good-Enough’. My children see that I am human, that I make mistakes and that I also try to put things right, however bungling my efforts may seem at times. 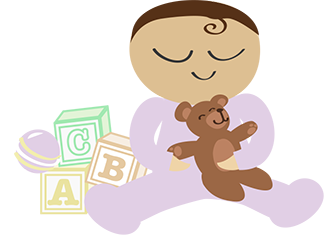 To learn how to be a Good Enough Mum, take a look HERE at the BabyCalm Courses that I provide. This entry was posted in Antenatal, BabyCalm, Babywearing, Bed Share, Birth Professional, Bonding, Dads, Love, Parenting and tagged baby, Classes, course, croydon, dad, dads, father, fathers, Good Enough Mum, mum, mummy, parents, Perfect Mum, sanderstead, south london, surrey. Bookmark the permalink.